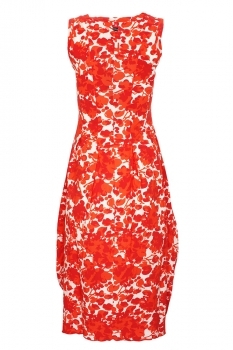 High 'At Length' Stretch fabric, flower print, sleeveless, tulip shaped dress in orange. 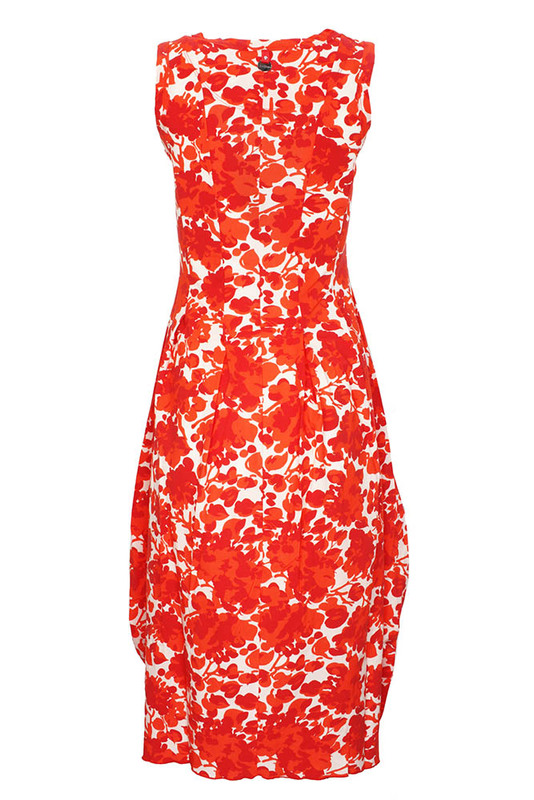 Round neck with finished trim. Finished trim at armholes. Panel construction, with folded fabric detail. 2 pockets. Slightly shorter at the rear. 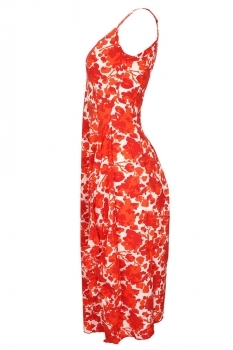 Full tulip shaped, classic High dress, perfect for Summer, the print is excellent.